The Haiku deck app allows to you make professional looking presentations with ease! Select "Create New Account" at the bottom of the screen. Enter your WPS email and password and then select "Sign Up". It will ask you to enter your first and last name. Enter your first name and last initial only. 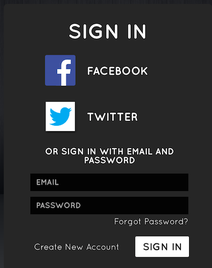 Then hit "sign up". Title your presentation with the topic of your current event and then select "Edit". Select a theme that fits appropriately with your presentation topic. The theme simply reflects font choice (you will be adding in your own background images). You can not change the font choice within a theme. YOUR SELECTED IMAGE WILL BE THE SLIDE BACKGROUND. There will only be ONE image per page. Select the blue image tab. Select "My Photos" all the way to the right of the screen. 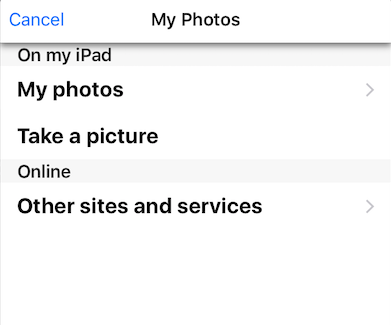 Select "My photos" to upload pictures from your camera roll. Once you have selected a photo choose "Add image" at the bottom of your screen. Select the red Text button. You can choose the format for your text depending on the amount of information you have for this slide. Once you have written your text, select the green layout button. 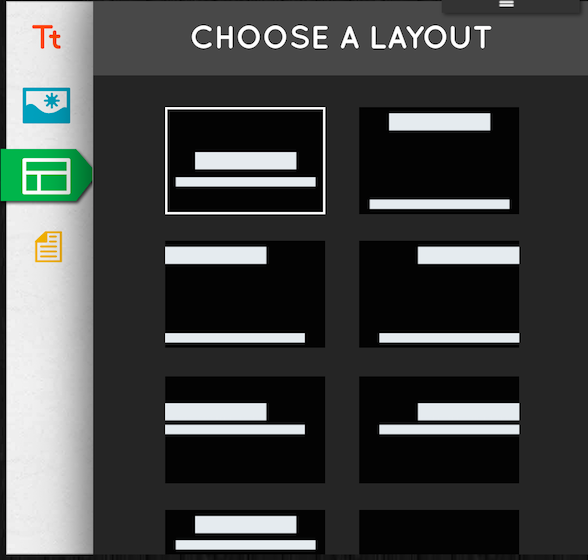 Here you can choose different layouts for the text format you choose. Select the + sign to create new slides. Then begin the cycle again with adding a background image and text. 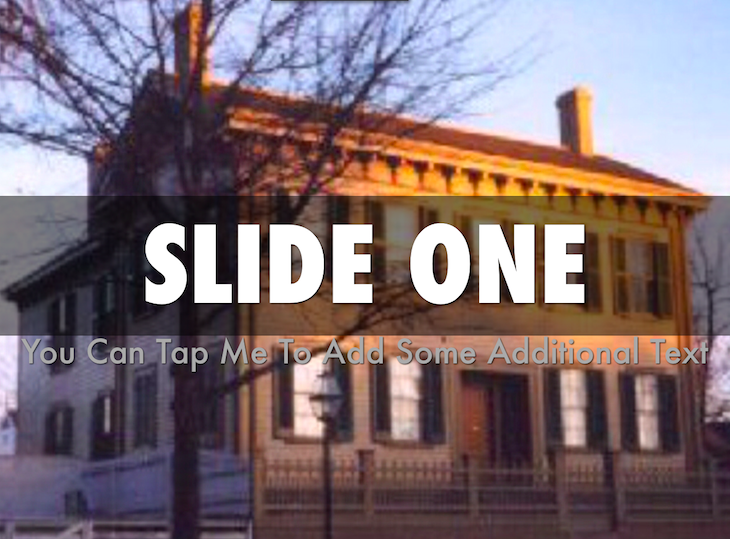 You will want to add a NEW slide for the different sections of your current event. Remember you want limited text on a slide-keep it simple! 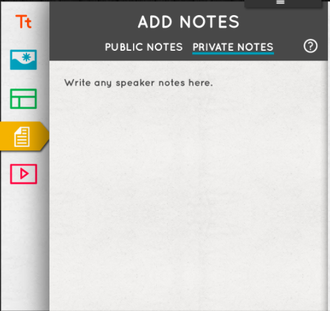 To add speaker notes select the note paper icon. Here you can write any notes you want to remember when presenting. **NOTE: You will ONLY be able to view your notes if you hold your iPad VERTICALLY when presenting. 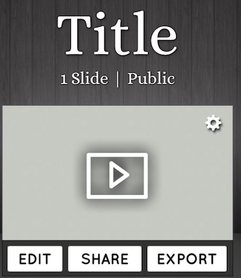 Select the PLAY button in the top right corner when you are ready to present or preview your presentation. You can then scroll through your slides. Copy the link-this will automatically copy the link to your iPad. Then submit the link by pasting it into Schoology.